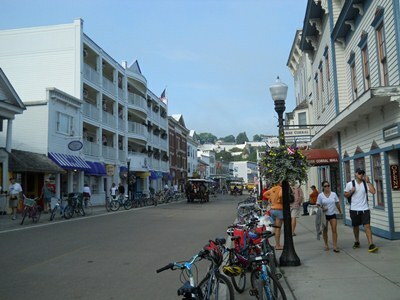 They are not many places in the U.S. that are as gorgeous as Mackinac Island. It's stunning: a tortoise shaped island surrounded by the aqua blue waters of Lake Huron. The seven-mile long road that goes around the island is a favorite of bike riders and walkers. 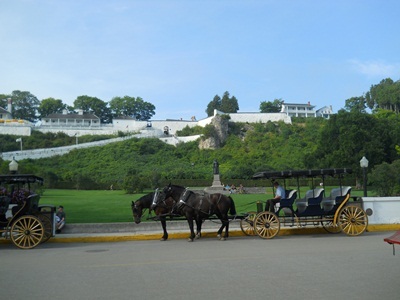 Vehicles are not permitted on Mackinac Island so transportation takes place by horse drawn carriages and bicycles.